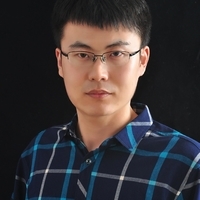 Lin Gan is a postdoctoral research fellow in the Department of Computer Science at Tsinghua University, and the assistant director of the National Supercomputing Center in Wuxi. His research interests include high-performance-computing solutions to geo-science applications based on hybrid platforms such as CPUs, FPGAs, GPUs, and the Sunway TaihuLight system. Gan received a PhD in computer science from Tsinghua University. He has received the 2016 ACM Gordon Bell Prize, 2017 ACM GordonBell Prize Finalist, Tsinghua-Inspur Computational Geosciences Youth Talent Award, and the FPL2015 Most Significant Paper Award, etc.